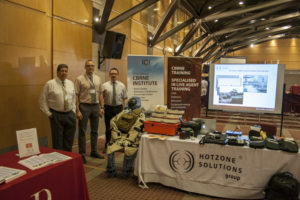 Hotzone Solutions Group, a Hazardous Substances Management Solutions company, was present at the CBRNE WORLD event – CBRNe South America 2018, held in Buenos Aires, Argentina, from 6 to 7 of March 2018. 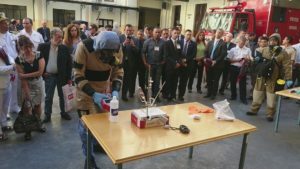 It was the first time that Hotzone Solutions Group participated in a CBRNE event in South America. 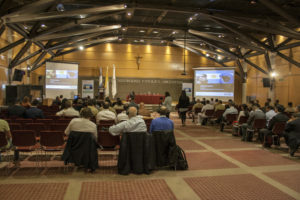 Two busy days at our stand at Universidade Catolica Argentina,with number of interested visitors. 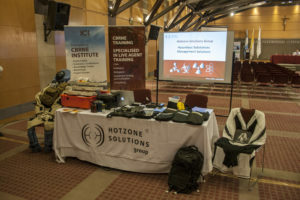 The CBRN community showed great interest in the new range of innovative products for CBRNE defense and for environmental protection and remediation that Hotzone Solutions Group presented. 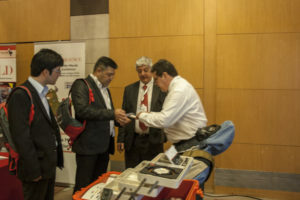 HZS Business Manager, Carlos Soares, and HZS Latin America Representative, Claudio Barroso Magno, explained to the visitors the features of the innovative HZS products and products of distinguished HZS partners, that were at the display. Hotzone Solutions is present in Latin America through its office located in the center of Rio de Janeiro, Brazil. HZS R&D Manager Oliver Terzic and HZS General Operations Manager Boban Cekovic demonstrating the use of detection equipment in a simulated illicit Chemical Warfare Agent production scene. 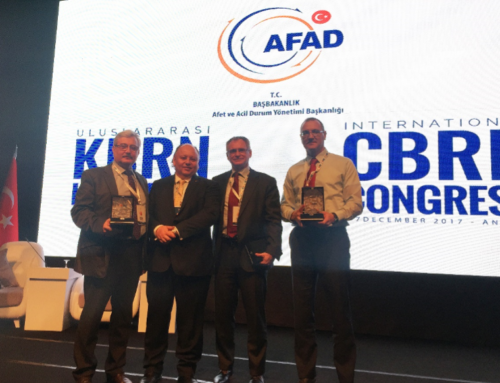 Speakers from Latin America, Europe and USA presented their experience and the current status of the CBRNe activities worldwide. 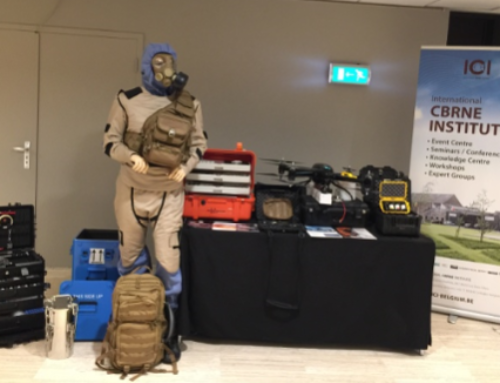 All visitors to the stand were very interested to know the new range of HZS innovative products for CBRNE defense such as, the Hotzone Identifier HazCat Kit for on-the-spot categorization of the unknown, a perfect companion for First Responders; the Raman Spectrometry Identifier Serstech 100 with a complete set of spectra database for narcotics, explosives, hazardous and toxic chemicals, powders, and chemical warfare agents; the Invasive Technologies Monica & Midas Systems (VallentApps) for remote case entry for sampling and disposal of CBW agents and toxic substances; the Sea Based Radiation Early Warning System (MOBILIS & GIHMM) to warn and protect the population from radiation hazards; the Hotzone Responder DAL (with Kronenburg), a self-sustained deployable analytical laboratory for CBRE threat agents, environmental pollution assessment and response to major industrial accidents; the CBRNE Fragmentation Protection System (Blücher) for protection (as a coverall and/or as an underwear) of highly sensitive parts of the human body; the Aerial Radiation Survey (Polimaster) which is a UAV mounted gamma detector for aerial reconnaissance and radiation mapping; and the Mobile Hazardous Material Plasma Treatment Unit for hazardous waste treatment. 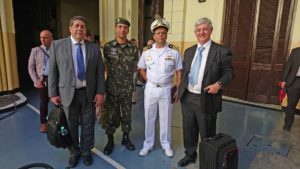 HZS Business Manager Carlos Soares and HZS Latin America representative Claudio Barroso Magno welcomes the visit of Col Vasconcelos, Commander 1st CBRN Defense Batallion Brazilian Army, and Cmd Márcio Xerém, Commander NBCR Defense Center Brazilian Navy Marine Corps.